Posted by admin on April 12, 2016 . Leave a comment. 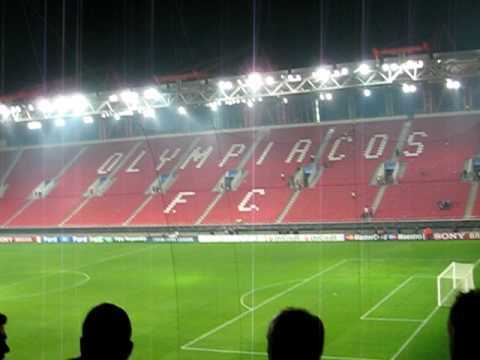 Following the stadium ban imposed on Olympiakos, the game was played in an empty stadium, but this did not prevent Olympiakos players from enjoying themselves on the pitch. They demonstrated the same cohesion, determination and technical abilities that allow them to win the Greek Super League with 6 games to spare. Olympiakos started the game well and kept possession of the ball for long periods of the match. Panthrakikos was happy to let their opponents have the ball provided they do not create goal scoring opportunities against them. However, the deadlock was broken in the 26th minute when Pulido opened the scoring for Olympiakos. This goal had the effect of motivating the Olympiakos team, and they played with more freedom afterwards. 14 minutes later, the home side doubles their lead thanks to a goal from Pardo to put the team 2-0 up. Olympiakos had been firm favourites according to the btting odds at StanJames, and they didn’t disappoint. Panthrakikos conceded another goal just before half-time. Hernani scoring a sublime goal in the 43th minute that finished the game as a contest. The goal damaged all hopes of the visiting team to come back into the match. After the break, the intensity of the match decreased with Olympiakos happy to keep the result. The opposing team did not show anything as an attacking force either and seemed keen to end the game with the scoreline at 3-0. Unfortunately for them, Hernani scored another goal late into the match – in the 91st minute, the Olympiakos player will get the ball deep in the Olympiakos area and will fire a shot into the back of the net to make it 4-0. Olympiakos will now turn to their next game against Iraklis. The Champions already have a 22 point lead at the top of the table and will want to set another record by winning.